Let the artistry of your food shine through with Steelite's Distinction Alvo China Dinnerware. The flowing curves, understated embossment and simple bright white color all combine to create the perfect canvas for your culinary masterpieces. 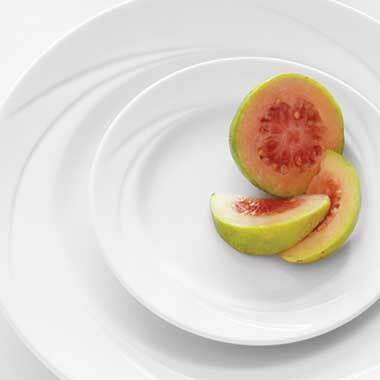 All Alvo pieces are covered by Steelite's Lifetime Edge-Chip Warranty.